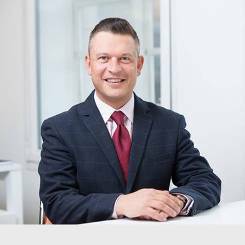 I recently had the opportunity to interview Phillip Speed of Nucleus Commercial Finance, about their Education finance product. The market for further and higher education is apparently worth a huge £2.5 billion, and there have been big developments in aspects of the education sector, such as apprenticeships. In response to this, Nucleus Commercial Finance have launched their education finance product, to help bridge the gap between training organisations having to invest in delivering these services, and actually getting paid. 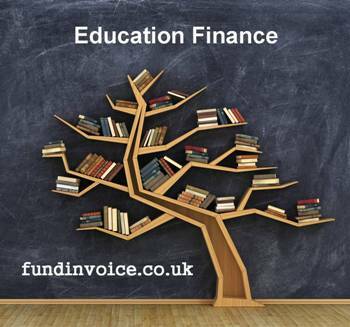 Read more about Education finance. The Apprenticeship Levy is a 0.5% tax on the payroll of large employers. This generates a pot of cash for companies to be able to spend on offering apprenticeships to staff. Historically an "apprenticeship" could have meant a young person learning via "on the job training", but the concept has developed dramatically. These days the level of education can be up to Masters level and it is common for staff in their 50's and 60's to take advantage of such training. Producing and bespoking of learning materials. These are often co-branded with the employer. Signing up applicants - which can involve checking identification, and confirming maths & English skills. So there is great benefit in a trainer being able to access say 3 to 6 months payments, up front via the education finance funding product. As the funds are paid by the Government over time, they are received into a trust account (an account controlled by Nucleus), and these payments repay the finance provided upfront - in addition to covering the cost of the funding. The SME contribution model requires SMEs to contribute 10% of the cost of apprenticeships. This in turn unlocks money from the Education & Skills Funding Agency (ESFA) to fund the apprenticeship. This has created a need to collect in these funds amongst training organisations. They may require additional credit control and administration services to ensure that they receive the monies that are due. These credit control services can also be provided under the umbrella of the education finance product, relieving the trainer of this burden. The cost of the funding depends upon the nature of each arrangement, but Nucleus are moving towards flat fee structures, which are linked to the amount of funding that an organisation can access. This creates a very predictable costing, that can easily be budgeted. If you operate within the Education sector, and could benefit from speeding up your cash flow via advances against payments, please get in touch (see the contact link below) with Phillip Speed of Nucleus to discuss how he can structure advances against your funding streams. Phillip joined Nucleus in 2016 and has worked nationwide to build and deliver their offering to the Education and public sectors.